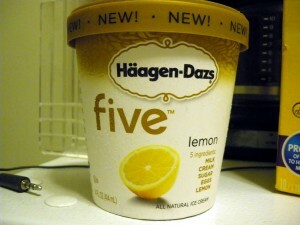 Haagen-Dazs FIVE ice cream are flavors that boast exactly five ingredients: Milk, Sugar, Eggs, Cream and (flavor here). I’ve seen Chocolate, coffee, mint, passion fruit , vanilla bean, ginger and lemon. Lemon intrigued me. 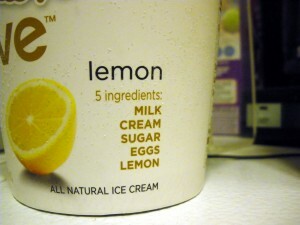 I had had lemon sherbert before and lemon ices… but never had I seen lemon ice cream. I had to try it. Now to be fair, I think Haagen-Dazs is cheating a little here since there are technically seven ingredients (lemon actually has lemon peel, lemon oil and lemon juice concentrate), but I’ll actually let that slide for now. 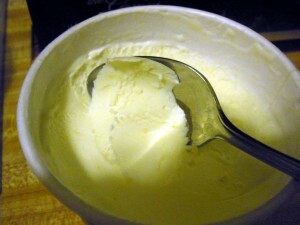 The ice cream itself is very creamy and very refreshing. 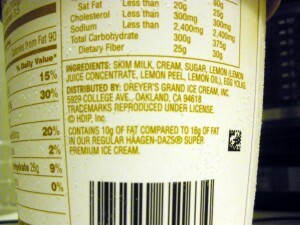 The lemon flavoring is mild and not too sour. I was quite surprised. I am a fan of lemon (lemon meringue pie, lemon candy, lemonade, lemon ice tea) so it might not have been that hard to please me here, but this has come very close to becoming my new favorite ice cream. There is no real after taste, and there really isn’t a need to add any toppings to this taste experience. While I wouldn’t necessarily jump at the chance, I even think it could make a good ala-mode topping. I’ll even go so far as to say that I’m glad it only comes in pints. I think that in a larger container there would be greater opportunity for this tasty treat to suffer the effects of freezer burn or old age. At just 3.5 servings per container, you can polish this bad boy off before it passes its prime. 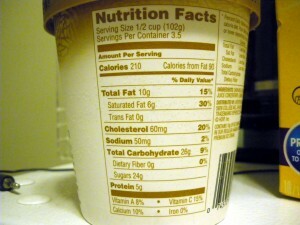 Stay tuned for reviews on chocolate and coffee flavors!